1. How to create an elevator pitch from agent Rachelle Gardner. I always get tongue-tied when someone asks me about my novel, so it's probably good to have something prepared. 2. Things to consider when thinking about writing a sequel, from Amparo Ortiz's blog, No Rest for the Lazy, Sequels: What I Like as a Reader. 3. 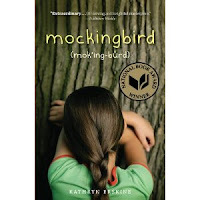 How to take a step beyond reading middle grade books and learn more from them, from a guest post by Carmelo Martino called Reading Like a Writer on agent Mary Kole's blog KitLit. We send our work out to see if an agent, editor or publisher is interested and they respond with a "yes" or a "no thank you." They are not rejecting us or our work, they are simply responding to us. 5. You'll never get a "Yes" if you don't keep trying. I read a comment on someone's blog with this message (sorry, I didn't get the source, and the wording was slightly different) and it has stuck in my head. I'm going to put it on one of my computer stickies. Sometimes writing can be so discouraging, because it's hard. But the more writing and submitting I do, the stronger my writing gets. I am definitely deepening my understanding of what it means to be persistent. I hope you had a great week. Did you learn anything interesting this week? Between the ages of 9 and 14, kids are starting to explore relationships with people outside their families. They're thinking about how to be a good friend, who is not a real friend, and which friends they want to hang with. Someone might be your best friend for one day, and then not the next. How can you use friends to develop your middle grade story? Create conflict. Tension between friends increases conflict. For example, in Leslie Margolis’ novel, Girl's Best Friend, dog-walker Maggie Brooklyn gets stuck working with her ex-best friend to solve a mystery. Talk about conflict! Other ways to create tension? Being too busy for friends, wanting friends when you don't have them, jealousy of a good friend...there are so many. Brainstorm for your own unique friend-related conflict. Sidekick or support. Friends don’t always mean conflict. They can help solve a mystery or provide support on an adventure (think about Rick Riordan’s Percy Jackson books). Supporting friends make the main character seem more well-rounded, emotional or empathetic. They can also add humor or depth as part of a subplot. What if the sidekick always messes up? Or bails out the main character? Provide information. A friend's different point of view can be a way for the author to add things that can't be shown through the main character. Conversations between a character and a good friend are one way to add in some backstory without creating an info dump. Something a friend has noticed might be an important clue. Just be sure not to rely on the friend too much or too often; the main character should take centre stage. Beware of cliches. In books where the main character is a boy, one of the good friends is often a girl, to the point where it’s almost becoming a formula. I think this is much less common in real life than in the world of books, because authors want the book to appeal to girls as well as boys. Watch out for stereotypes like the Hermione effect (smart girl sidekick). Friends aren’t always people. Middle graders have strong feelings for pets, other living creatures and even inanimate objects, so you can be create in the friendships you choose to include in your novel. For example, Bobbie Pyron’s A Dog’s Way Home focuses on the relationship between a girl and her dog. In Drizzle by Kathleen Van Cleve, the main character has a unique relationship with a plant. Friends change with the situation. In real life, kid’s friendships may be related to the activities they do. They may have one group of friends at school, but a different group of friends on their soccer team or at dance class. Be realistic. According to at least one reader I talked to, it’s annoying when a character in a book has only one friend. In real life, kids interact with many different peers in different ways. Capturing the flavour of that complexity in your story, even in a simple way, might add to the story believability. Do you have any tips or suggestions for using friendships to strengthen a story? Have you read any good books where a friendship was essential to the story? *As usual, if you have any links to other posts or resources on this subject, I'd be happy to add them to the list for our reference. At Plot to Punctuation, there’s a great post on using a sidekick character in your writing. At Fuel Your Writing, freelancer Kolina gives some tips on how to use your own friends to improve your novels. Three Good Things Giveaway Winner! It's been such fun writing clues for the "mystery" book giveaway and giving away free books! I'm almost sorry to see it end. I'll have to do this again sometime. I'm contacting Jen to let her know she's won. Sorry if your name didn't come up, but I hope you had fun playing. For more fun and games, fellow blogger Susanna Hill is starting a game called "Would You Read It? Wednesday" that sounds like it will be fun. Tune in this Wednesday and check it out. FYI, I'll be getting back to blogging as usual on Wednesday with a new post my series on The ABCs of Writing Middle Grade Fiction. I've been participating in Deana Barnhart's Gearin' Up to Get An Agent blogfest through the month of July, and wow! Have I learned a lot! This is our last week, where we're posting the beginning 200 words of a novel for feedback (you can see what the other participants are writing by checking out the blogfest link). It's nerve-wracking, but exciting. At the edge of the trash heap, Maya stood ready to run, her eyes fixed on the huge metal doors on the other side. Scrounging was the worst part of her day. The stench of rot and chemicals blocked the food smells that escaped from the city walls, ruining her game of guessing what they were cooking inside. The stink made it hard for her to imagine what she’d cook, if she had the ingredients. But since she’d turned thirteen, scavenging trash was her job. Brushing away a buzzing fly, Maya tightened her grip on her gathering bag. She wasn’t about to let a thief take advantage of her small size. The ground trembled as the doors clanged open. The trash machine rolled out, its giant black wheels grinding on the rusty track as it brought the huge metal bin outside the stone city walls. Around Maya, people edged closer, ready to pounce. Maya’s feet twitched. Not yet, she thought. Wait for it. The side of the bin closest to the doors started to rise, tilting higher and higher. An acidic smell exploded into the air. The contents of the bin poured out. Everyone darted forward, hands grabbing for garbage. Today is the last day to enter to win Book #3 of the Three Good Things Giveaway. Leave a comment here or guess the book title from the clues for your chance to win a "mystery" middle grade novel. The winner of the third book will be announced on Monday. I don't know if you've noticed, but I have a page (and usually a spot on my sidebar) for Cool Blog Quotes. When I'm cruising around reading blogs, I sometimes find something that sticks in my head, either as a great piece of writing advice, or just something that inspires me to do better. "...we need to surprise the reader. We need to make them see the moon in a different way, from a different angle, so that it will mean something to them again, so it won't just be background. In a way, we have to trick readers into really seeing the moon again." Jeff Hirsch, Writing Tips: Seeing the Moon for the First Time, The League of Extraordinary Writers, July 20, 2011. Three Good Things Book Giveaway Continues...and a Winner! Did you guess the title of last week's "mystery" book? 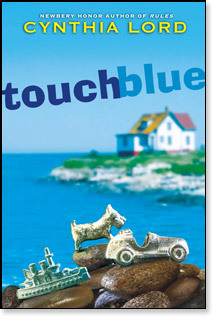 It was Touch Blue by Cynthia Lord. If you didn't win a free book this time, you still have another chance. The giveaway goodness continues! Today I'm announcing the clues for the third and final "mystery" book in my three good things giveaway. For a chance to win, all you need to do is comment on this blog post. To make it a little more fun, you can get more chances to win by guessing the book title from the clues below. Are you ready? Comment on this blog post (1 entry). 1. The opening: "All I've ever wanted is for Juli Baker to leave me alone. For her to backoff—you know, just give me some space." 2. 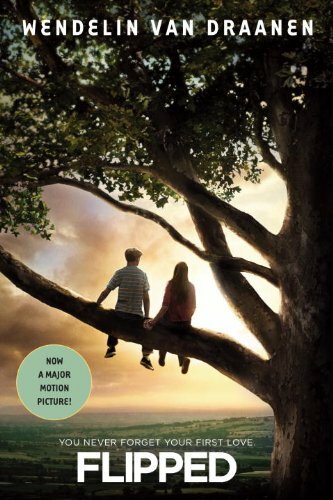 You may have seen this book as a Rob Reiner film, with actors Madeline Carroll and Callan McAuliffe (and the giveaway copy of the book includes photos from the movie). 3. The author of this book wrote The Running Dream (also on my 100 book list this year), is well-known for her girl detective Sammy Keyes, and is an avid runner. *Remember, all of the books are fresh new copies of ones I've read so far for my 100 book challenge. The deadline for entering this giveaway is Saturday July 23, 2011. Over the past couple of weeks, I've returned to one of my earlier novels to work on bringing out the narrator's voice. One of the biggest challenges I'm finding is keeping it consistent. Sure, there are times when it all flows naturally, but then I read other parts and know they aren't quite there yet. 1. Re-read previous sections. By reading over a section of the story where you feel confident you've captured the voice you want, it helps you get the right "sound" for the character's voice into your mind. 2. Think about internal ways your character reacts. Like people, characters have their usual way of reacting or thinking about events. When this comes out in the story, it helps to strengthen their voice. For example, some characters tend to ask themselves mental questions. Others might make snappy interior comments. What does your character do? 3. Consider less common words. When you come to a larger, less common word in your writing, think about why you've used it. Would your character use that word? If not, what would they say instead? 4. Write a note from your character. If you're having trouble capturing your character's voice, try to put yourself in their shoes. Write a letter to another character, explaining any problem (doesn't have to be a problem in your story). This can help you discover the way the character puts words together, without the pressure of thinking about how it fits into the novel. Do you have any other tips for creating a consistent character voice? Three Good Things Book Giveaway! It means a lot to me that you're reading what I have to say. I hope I give you some useful tips for writing once in a while. But, in addition to that, I'm giving back. I'm giving away 3 "mystery" middle grade novels, and there are still two more books to give away! You can still enter to win this week's prize! Get your entry in by the end of today! And watch for my announcement of the winner and the clues for the third book in the contest on Monday. Last night, I saw the last Harry Potter movie -- what an awesome experience! [Don't worry, I'm not going to reveal anything about it in this blog post.] The Harry Potter series has been such a huge part of my childrens' lives, both through the books and the movies. Even at ages 15 and 12, they still play "Potions class" in the backyard with mysterious kitchen ingredients and potions kits made from spice bottles from the dollar store, and we have an impressive collection of Harry Potter themed Lego. I think we're all a little sad, now that we've seen the last movie. Harry Potter for Writers is an entire blog dedicated to learning from the Harry Potter books. Maybe now that I've read the series a couple of times, I can read it again with more of an eye towards learning. Have you learned anything from reading any of the Harry Potter books? This week, I'm participating in Deana Barnhart's "Gearing Up to Get an Agent Blogfest" and we're having fun creating a story chain. My job is to: Let us know what the MC's flaw is (the thing she tries to work through throughout the story), using these words: justify, bookcase, nostril. To see the part that came before mine go to Fiction and Film. Was she crazy? Dio shook her head, as if that would make the noise go away. Then she kicked the computer. The whine subsided. Stupid junk! Why couldn’t her parents spring for a newer model? As she started to type her password, it came to her. She’d make up a new name and a new personality. She could be someone else online, anyway. Someone with a better name, who’d have lots of friends. Someone who wasn’t such a freak. To be totally convincing, she’d need help. Racing down to her father’s study, she strode over to the bookcase. Where was it? It could be the solution to all her problems. It wasn’t really stealing if she just borrowed it for a while. There! The one with the purple cover. As she pulled it out, a rotten egg smell filled the air, making her nostrils burn. “Ow, make it stop!” she cried, rubbing her nose. Don’t think you can justify your existence by claiming to be popular. I know what you’re really after. To see the next part of the story, go to Meghan Kirkland. Happy reading! I can hardly wait to see how this turns out! Three Good Things Book Giveaway Continues -- and a Winner! Did you guess the title for my first "mystery" book giveaway? I'll be sending an e-mail to get the scoop on how to send her the book. But, if you didn't win that one, don't give up! I'll be giving away two more middle grade books, one "mystery" book a week for the next two weeks. For a chance to win, all you need to do is comment on this blog post. To make it a little more fun, you can get more chances to win by guessing the book title from the clues below. Are you ready? 1. From the backcover copy: Wishes are slippery things. You have to be very specific or you can get exactly what you wished for and still end up with nothing. 2. A couple of the sayings from this book are "Never whistle on a boat" and "It's bad luck to change a boat's name." 3. Other books by the same author include: Happy Birthday, Hamster; Hot Rod Hamster; and Rules. The deadline for this week's giveaway is Saturday, July 16, 2011. 1. Tasting yummy, whipcreamy, sweet strawberry shortcake for the first time this season -- a real summer treat. 2. Drawing! I haven't done any sketching for a long time, but it's so cool to have the time to do something I really enjoy. I should make time for it more often. 3. Hearing the familiar voice of an old friend I haven't heard from in a long time. 4. Writing a bunch of new ideas in my writing notebook. It seems like since I've been on holidays, there's more space in my mind to be creative. Do you ever notice that? I think I've gotten at least one new idea each day. 5. Selling some things we didn't need and reclaiming the space they took up -- yeah! 6. For a writing-related smile, check out my post, 5 Tips for Revising a Novel, over at MiG Writers. Did you do anything that made you smile this week? What would you like to have time to do that you just can't manage to make work? How Do You Get High Stakes in Your Novel? I'm so excited to be part of Deana Barnhart's Gearin' Up to Get an Agent Blogfest! One of the things I've been thinking about lately is related to plotting and stakes. I know it's essential to have something at stake for your main character. That is, something the character wants that motivates their actions. One of the comments I often get from my critique partners is that my character's motivations don't seem strong enough. I know this seems pretty basic, but I'd like to know more about creating "high stakes". My question is: How do you know if the stakes are high enough? Do all the characters need some kind of stakes, or just the protagonist? Sorry, this is really two questions (I'm an overachiever), take your pick! Three Good Things Giveaway & a Blogfest!! Just a reminder that my three good things giveaway has started! I hope the clues aren't too challenging. And while I'm thinking about giveaways, Deana Barnhart has some great prizes to go along with her Gearin' Up to Get an Agent blogfest. I've signed up to participate and I'm really looking forward to it! Enter to Win: Three Good Things Book Giveaway! They say that good things come in threes and I'm celebrating three good things: reaching 100 followers, the start of my summer holidays, and finishing a solid round of revisions on Novel #4. I'm so excited, I want to pass along the goodness! 1. The first line of the book is: "It looks like a one-winged bird crouching in the corner of our living room." 2. A quote from the main character: "I like things in black and white. Black and white is easier to understand. All that colour is too confusing." 3. This book won the National Book Award in 2010 and the author's initials are K.E. *All of the giveaway books can be found on my 100 Book Challenge list for this year. 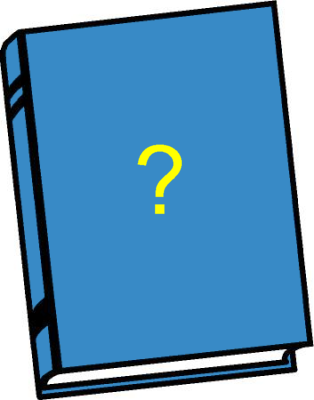 The deadline for entering to win mystery book #1 is Saturday, July 9, 2011. 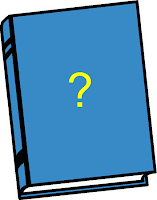 The title of the mystery book prize (and the winner) will be revealed on Monday July 11th, along with the clues for mystery book #2. It's Friday. It's Canada Day. And it's the first day of my summer vacation! Woohoo! I'll be back to my regular blogging about writing on Monday. Today I'm off to Toronto's Centre Islands to watch the Dominion Day Regatta.